A 2016 build four bedroom family home that benefits from extra upgrades purchased by the current owners including; an upgraded kitchen, Amtico flooring to the lounge and tiled floors in the entrance hall, study, cloakroom, kitchen/diner, bathroom and en-suite. The kitchen features with contemporary mocha high gloss units with integral appliances opening up to a landscaped rear garden. 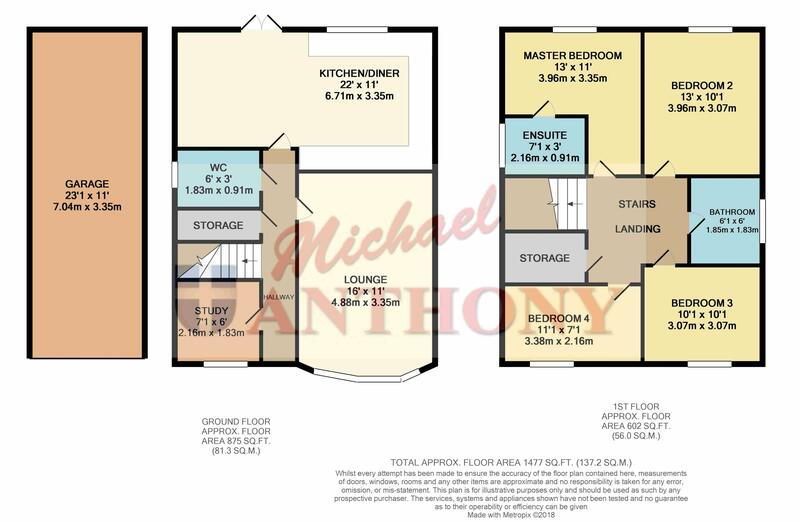 There are also four double bedrooms with an en-suite shower room to the master. Externally there is a driveway alongside the property leading to a garage measuring a length and a half. The property is offered to the market with no upper chain.